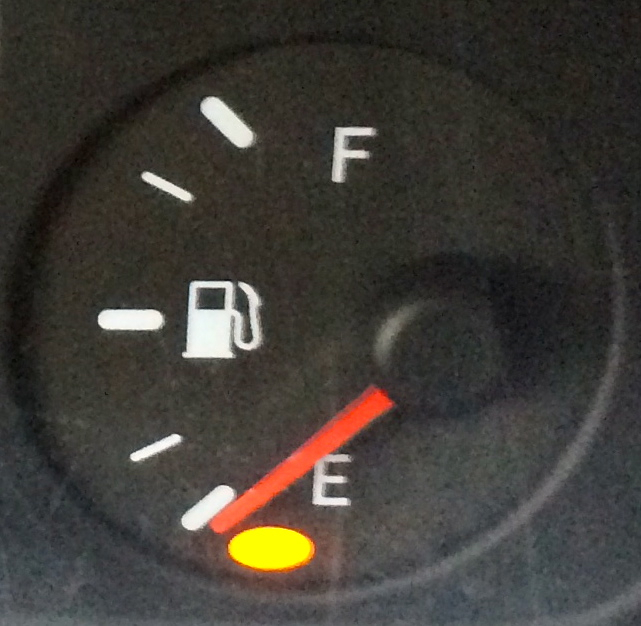 The gas gauge in my husband's van is faulty. Once it gets down to the last 1/4 of a tank, the needle gets stuck and stops dropping. He knows not to go too much farther once it reaches that point because he can't tell how much gas is really left. The gas gauge in my car is more accurate and a light goes on when it reaches the last 1/4 tank. Our bodies also have "warning lights" that go on when our reserves are starting to run low, although many of us ignore them until we actually have to stop because of illness or extreme fatigue. I have heard that there is a saying in Chinese that we should only eat until we are 3/4 of the way full to allow the body room to digest our food. When our stomachs are too full, we feel stuffed and stuck. I am now thinking that the idea of 3/4 applies to many other areas of our lives, particularly at this time of year. In fall and winter, Qi begins to contract and move inward, and becomes more dense. It takes more energy to move, just like it does to move through water. This is the time of year to slow down, to harvest, to conserve, and to store so that we have to reserves to make it through the winter. Most of us, myself included, don't notice that life is easier when we allow the Qi of the season to carry us, rather than try to go faster or slower than it does. What would happen if you started to notice what 3/4 was for you and stopped at that point? Our culture does not encourage this, but I'm finding that I feel better when I pay attention to my energy levels and stop before I get to the point of exhaustion. And I feel better when I rest regularly and go to bed on the early side. Stopping at 3/4 leaves me some energy left so that I'm not always running on fumes, and as we know, it's a lot easier to fill up your tank when you're not stranded somewhere!